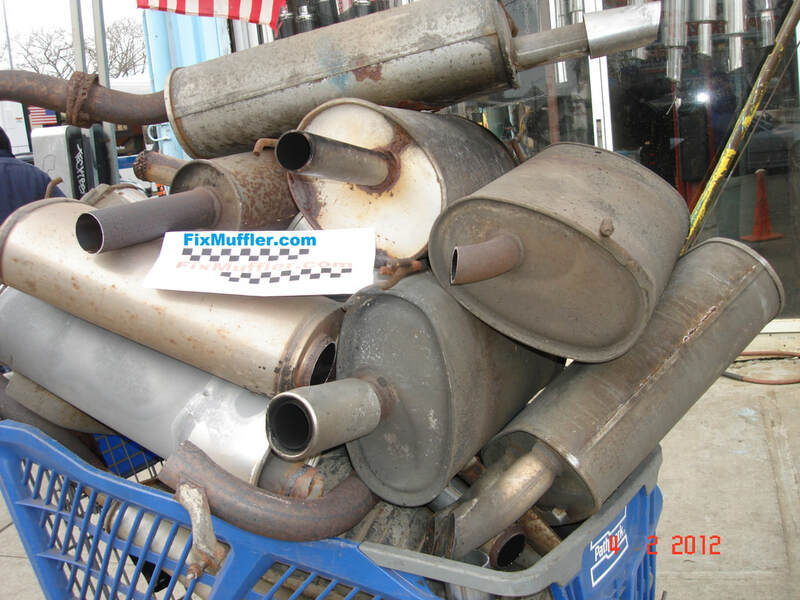 We are the #1 Muffler Shop in NYC Tri-State area. 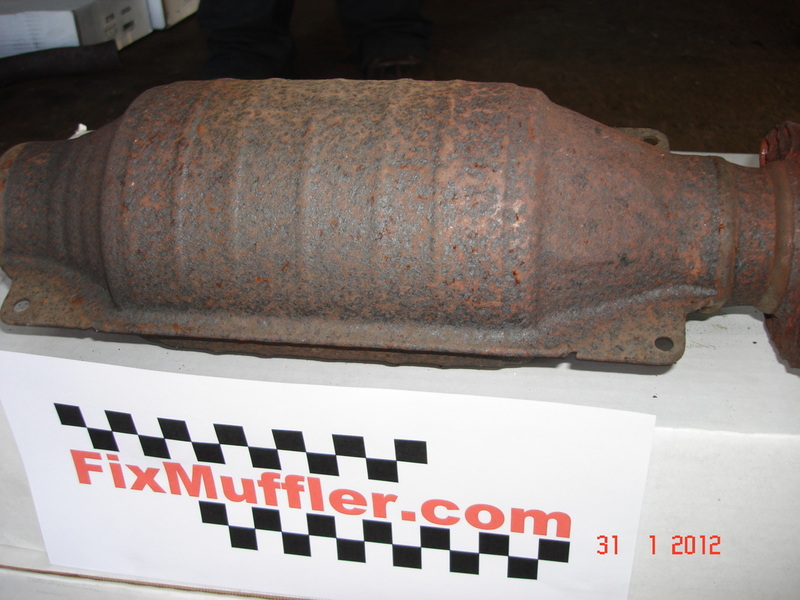 ​FixMuffer.com, the muffler shop to get Quick-Cheap-Best Work Done. We are in business thanks to our hundreds of repeat customers. Thank you very much to those steady customers! 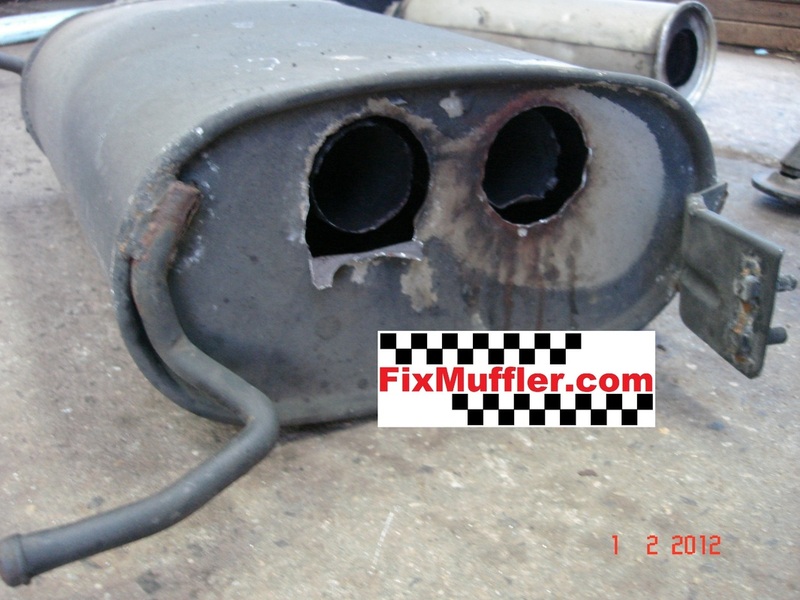 Muffler is one of the most important parts of your motor vehicle’s exhaust system. The engine’s internal combustion creates a lot of noise, the muffler receives these noises through the exhaust pipes and silence them using the muffler’s internal chambers. Mufflers also help control the backpressure of the engine, it improves the endurance and performance of the engine. Because of weather condition and normal wear and tear of your motor vehicle, the muffler will rust and may have leak or holes inside and out, this will cause your motor vehicle to have a loud noise so it is a good idea to check your exhaust system a least twice a year. ​Mufflers may not always be the problem, sometimes you may just need a small pipe welding, other muffler shops will tell you to change the whole system… we won't make you change parts you don't need to change. At FixMuffler.com we’ll only make you change the part you need. We'll make you save money. It’s a flexible piece of pipe that gives your exhaust system some flexibility, which protects your exhaust from breaking. The engine, transmission and suspension system are constantly working, these cause your vehicle to have undercar vibrations to the exhaust system. Flex Pipes minimize the shaking, vibration and impacts on the vehicle exhaust system, they are made to support and protect the exhaust system by absorbing most of the vibrations. 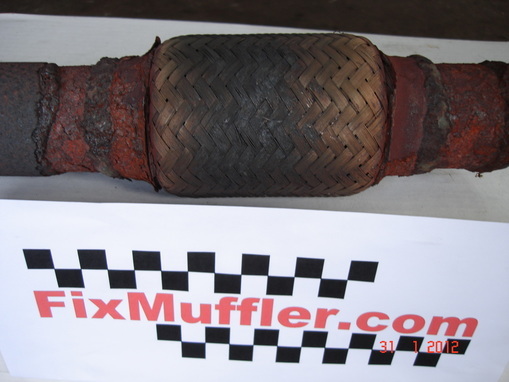 One of the most common exhaust system's parts to be replaced is the "Flexible Pipe", and so is one of the easiest to be replaced, when you come to FixMuffler.com you'll be saving time and money. We only use top quality and double inner braid flex pipes. Please watch our YouTube Channel one of our videos has more than 90,000 views. ​If you are not using our shop, make sure ask other shops to use double inner braid flex pipes. Make sure your catalytic converter is functioning properly without creating restrictions that reduce performance, fuel economy and emissions, if the ceramic substrate (filter look-alike) inside de catalytic converter is clogged or broken into pieces, your motor vehicle will not pass the emission test. When cats are clogged or faulty your engine will have not power. Catalytic converters change harmful emissions into harmless gas. Signs of damaged catalytic converters: slow-moving acceleration (clogged), smell of sulfur or like rotten eggs, excessive heat under the motor vehicle.